Still upset about that massive Fallout 4 hoax? Here's some good news for you: The next entry in Bethesda's post-apocalyptic RPG series is real, it's in development right now, and, as rumored, it appears to be set in Boston, according to casting documents obtained by Kotaku. This is the first confirmation we've received that the next Fallout game is in the works—although it's been generally assumed that Bethesda Game Studios, the development studio behind Fallout 3, has been working on a new Fallout since completing The Elder Scrolls V: Skyrim back in 2011, Bethesda has yet to announce the new game in any form. In 2012, rumors circulated that Bethesda employees were scouting the Massachusetts Institute of Technology in Boston for an upcoming Fallout game, but other than that, news has been thin. Yet the next Fallout remains one of the world's most anticipated games, and a few weeks ago, when an apparent teaser website called TheSurvivor2299 popped up on Reddit, people went crazy. The site, which was crafted as if it were an alternate reality game, hinted at a Fallout 4 announcement through a trickle of hidden messages and plot details, revealed through morse code and other cyphers. The sheer level of detail made the website seem real to some observers, but Bethesda wouldn't comment one way or another. Turned out TheSurvivor2299 was an elaborate hoax. Fortunately, the next Fallout game is real, and although we don't know what it's called, we know thanks to these documents that the game is in the works. "War. War never changes," is the classic introduction used at the beginning of Fallouts 1, 2, and 3. That speech is typically narrated by actor Ron Perlman, although this page seems to suggest that the player-character will read the monologue this time around. Other documents describe a mission set in the Institute—Fallout's post-apocalyptic version of MIT—and references to other Fallout locations that have been mentioned but never shown in other games, like the Commonwealth, which comprises what's left of Massachusetts. One character in the documents—who, again, may not show up in the actual game—is named Preston Garvey. One script describes a mission in which Garvey sends you to salvage a fusion core from a museum in the Commonwealth. The casting documents describe some of the other characters in the next Fallout's wasteland, like a radio DJ named Travis Miles and an engineer named Sturges who is described as "a cross between Buddy Holly and Vin Diesel." Casting calls for both the male and female versions of the player character note that the player begins the game in a cryogenic sleep chamber. Again, it's worth noting that these details may have been invented for the casting call, and they may change during development. 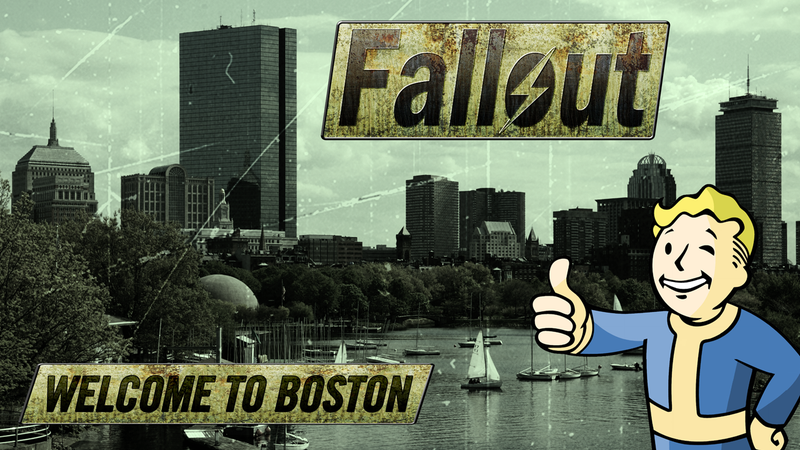 We also don't know whether the game will be called Fallout 4, or whether Boston will be the sole setting or just one of many. The big takeaway here is that the next Fallout game is real. It's currently in development at Bethesda. So if you're upset about that teaser website turning out to be a hoax, at least take some comfort in this. Bethesda declined to comment for this story. Boston photo in top image via Wikipedia.